Town of Kingsville (Lower Tier Essex)Record Owner? Log in. Thomas Curtis was the first recorded settler in the Kingsville area, in the late 1780s, although some French families had settled here earlier because of the site's proximity to the French post at Detroit. The town is named after Col. James King, the first person to build a bouse at the site. Near Kingsville is the former home of conservationist pioneer Jack Miner, who from 1910 to 1940 lectured on conservation and convinced kings and presidents it's need. In recognition of his efforts, he was awarded the Order of the British Empire in 1943. His estate is now a wildlife sanctuary and a stopping point for flocks of tens of thousands of Canada geese on their spring and fall migrations. 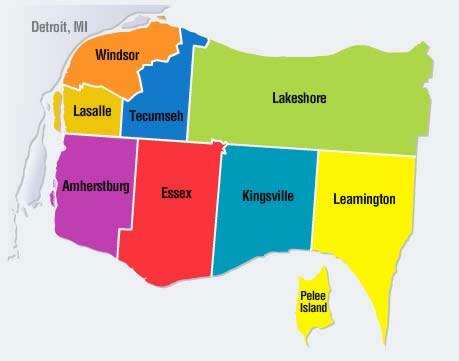 Kingsville is one of two ports on the Ontario shore from which summer ferry service connects with Pelee I. and Sandusky, Ohio. Have something to say about Town of Kingsville (Lower Tier Essex)?